Lorenz Jai Inder Gramann, born in ’69 in Germany, is an experienced holistic guide, currently resident in Findhorn, Scotland. He has been on the path of holistic healing since age 19. On his journey to an inclusive, wholesome approach he was trained in several healing modalities (Harmonyum®, Reiki, Bio-metaphysical Medicine, Biorelease® Massage, Chakra Healing and more). He is fully certified in Biodynamic Psychology and is trained in Kundalini Yoga as well as Naam Yoga. He also offers Sound Healing groups. With over 25 years of ongoing training and experience in his private practice and groups, he is able to provide a safe space to go deep into a transformational process of personal healing or simply to enjoy the nurturing and uplifting treatments for relaxation and wellbeing. Harmonuym is a gentle yet powerful process in which the recipient (re-)connects to his/her Soul. Healing comes through the heat of Divine Love as it initiates a superior vibratory shift that causes the body, by its own virtue, to create a platform for self-healing. During treatment, potentially harmful energies are cleared from the aura while, at the same time, the recipient’s innate gifts are brought to the fore. Harmonyum will heal our heart, make our minds clear and brighten our energy. It synchronizes our bodily and mental functions in order to enhance our adaptive capacities, which, in turn, leads to glowing health, vigour, happiness and increased longevity through the slowing of the aging process. 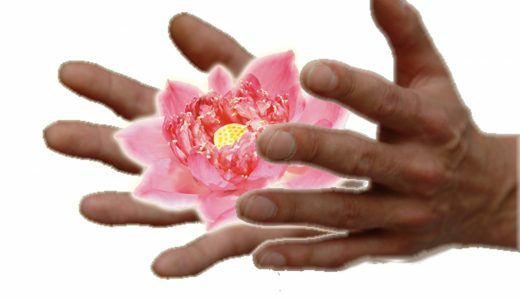 Harmonyum brings love and compassion in our lives as it assists us to create harmonious relations with Nature and our fellow human beings. Naam Yoga® is a unique merging and refining of the world’s most powerful esoteric traditions. It is a spiritual science and art that merges the crowning yoga practices of the East with the unparalleled esoteric tradition of the West, which is Universal Kabbalah. The result is the most powerful distillation of the world’s major teachings. Naam Yoga™ is the return to One. This sacred technology provides the integrated tools for radiant health, well-being and ultimately divine consciousness, to help you move from the head to the heart centre and face challenges with Grace. Lorenz has received a wide range of trainings in conscious bodywork (see above). Lorenz integrates all of these intuitively to offer you a bespoke session which meets your unique needs in the present moment.